2015: The Year of Light is here! 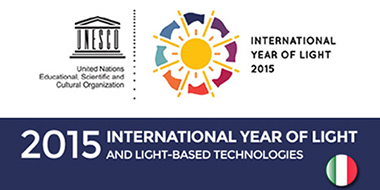 Towards the end of 2013, the United Nations (UN) General Assembly proclaimed 2015 as the International Year of Light and Light-based Technologies (IYL 2015). In past years, other areas of interest have captured the international community’s attention: in 2009 we had the Year of Astronomy; in 2010, the Year of Biodiversity was celebrated; the Year of Water Cooperation was proclaimed for 2013. There will be four official themes for people to focus on: 1. Light science; 2. Light technology; 3. Light in nature; 4. Light and culture. The International Astronomical Union (IAU) joins IYL 2015 initiatives underlying the importance of Cosmic Light, that is, radiation coming from the outer space conveying information on celestial objects. Regarding reducing energy waste and diminishing light pollution (particularly important for earth-based astronomical and astrophysical researchers, but also for other star-gazers), public opinion is already more sensitive than it was in the past. However, the scope for the 2015 Year of Light is broader: it is about more than protecting or economizing on a resource; it also aims at gaining deeper understanding of Light implications and potential, both scientific and cultural. No one would call into question the absolute importance of water, and we are all aware of how crucial air quality is for our lives. We may be less prone, though, to reflect on the role of light, a much humbler reality than air or water, but no less essential. Think about it: water is a simple triatomic molecule: two hydrogen atoms and one of oxygen; air is composed of a mix of elements and chemical composites in diverse proportions. Light, on the other hand, is qualitatively different: it is energy. In fact, light is defined as electromagnetic energy between about 3,800 and 7,500 Ångstrom (380 – 750 nm), which our eyes are able to perceive and for which reason we call it “visible light”. This is a way of differentiating it from other forms of electromagnetic energy, invisible to us though our other senses might perceive their effects (such as X-rays or radio waves). In the late 1800’s James Clerk Maxwell came up with rather elegant equations to describe the diffusion of light and electromagnetic waves in general; and by the beginning of the 1900’s Max Planck had discovered that energy is transported through quanti: small quantities and not continuous values (in this case, photons). Albert Einstein’s equally elegant equation described the reciprocal transformation between matter and energy. Thanks to this three milestones, in a few decades human knowledge made an enormous jump for our understanding of light! But long before modern-day “light physics” developed on scientific basis, a myriad of symbolic allusions to light were already present in humanity’s varied cultural expressions—from mythology and architecture to poetry and religion—stimulating the most incredible variety of philosophical, artistic and theological considerations. Indeed, we would be hard pressed to find in the world of thought any other single reality as pregnant with meaning and possible comparisons as light. The UN’s decision to designate “Light and human culture” as one of the four official themes, is therefore quite appropriate. This is the idea behind the series of “Home Page Specials” that www.disf.org and www.inters.org will be publishing over the next several months. As usual, while not ignoring scientific aspects, we will try to underline also cultural and interdisciplinary ones. Our contribution will be necessarily limited, since a topic like this is a veritable goldmine of possible reflections; we only seek to stimulate our readers’ interest in facets of this topic that may receive less publicity than their relevance deserves. The search for the cultural, scientific and humanistic dimensions of light makes for an attractive adventure! We wish that our visitors would share this enthusiasm and discoveries. For example, did you know that the first “experimental researchers” who did scientific studies on the rainbow, such as Robert Grossteste and Roger Bacon, were from the Anglosaxon universities of the Middle Ages? Or that the rainbow in the Bible is a sign of the covenant between God and man? You might also find it interesting to know that Maxwell was influenced by his religious convictions as to the manner in which he discovered the equations for light waves, as the philosopher and science historian Thomas Torrance convincingly showed. The link between light and religious thought is pretty evident. For example: just open a Bible (the Judeo-Christian sacred text) and read. The first thing you’ll find is actually a solemn declaration about light. According to the book of Genesis, when God created the world the very first words he spoke were: “And God said, ‘Let there be light’” (Gen 1:2)—an act of lofty proportions which gave rise in the Middle Ages to a “metaphysics of light”, when enriched by a neo-Platonic perspective. This meant a certain way of conceiving being and the created world, in which light somehow “transported” God’s creating action, giving light the properties which today we attribute to energy. Later on in this Year of Light we will speak more on the importance of light in Sacred Scripture. In any case, it is clear that Biblical language about light uses a number of metaphors and allegories, and they seem to suggest something more than just a simple image. Light is a synonym for truth, for life. The Word Incarnate is called “the light that was coming into the world” (see John 1:9 and 3:19), and Jesus of Nazareth claimed, “I am the light of the world; whoever follows me will not walk in darkness, but will have the light of life” (John 8:12; see also John 12:35). Whoever does evil hates the light; those who do good take up the “weapons of light”. The psalmist proclaims that “in you is the fountain of life, in your light do we see light” (Psalm 36:10). For the author of the book of Proverbs, “the path of the righteous is like the light of dawn, which shines brighter and brighter until full day” (Prov 4:18). The first letter by John, in a radical sort of way, even before saying “God is love”, has no qualms about also saying “God is light and in him there is no darkness at all” (1 John 1:5). On a much more general anthropological level, light has become a universal religious symbol for God, his transcendence and his pervasive presence. It is, we could say, an attribute of his, and at the same time a symbol and synonym for truth and goodness: lying and evil are the absence of light, for darkness enables the works of evil and makes it easy to keep things hidden. It is not at all surprising, then, that the sun, our principal light source, has been an object of worship and mythological narrations for millennia. Neither should we amazed that the great Christian cathedrals—especially in medieval times, although brought back to life in works of art light like the Holy Family in Barcelona—based a good bit of their architecture on the dynamics of natural light; they also made use of the sun to tell the time of day and year on enormous sun dials. We could almost draw a parallel between religious expression and the scientific or natural ambit, in the sense that light holds a central position in both. In the same way that life on earth, and human beings, depend on light to exist, so do we need God. Light means energy. Of the four forms of energy that we know, electromagnetic light is the easiest to manipulate and employ; in fact, when we make use of other forms of energy, like gravity or nuclear energy, it is usually for the purpose of obtaining electromagnetic energy, of which light is the part physiologically closest to us. The huge efficiency of nuclear energy that is released from the core of the sun, analogously to other stars, reaches us as electromagnetic energy, that is, heat and light. Without sunlight there would be no chlorophyll photosynthesis: there would be no life. Without heat from the sun there would be no biochemical processes; the earth would be a rocky, icy surface. The quality of life on earth now depends largely on our ability to obtain energy and light at low costs and to distribute it at minimum waste level. That is why particular importance was rightly given to the Nobel Prize for Physics in 2014. 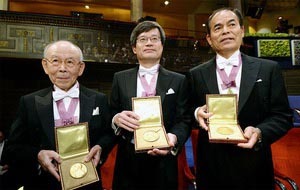 Its winners—three Japanese researchers: Isamu Akasaki, Hiroshi Amano and Shuji Nakamura—discovered the LED (Light Emitting Diode) in blue light, with a capacity of producing energy that is almost entirely changed into light without dispersing as heat. About a fourth of the energy we produce on earth gets changed into electric energy to be used for lighting, which points to the fact that even light not directly from the sun is necessary for us. Thanks to light, we enter into relationships with others, we communicate, we transfer information. Thanks to light the display on our devices, from a smartphone to a computer screen, from an airport monitor to a simple digital watch, gives us instantly the news and information we need to make decisions, to understand what is happening around us, even to live with and for others. Lasers converge in a very small angle on a band of concentrated light, allowing us to repair biological tissue, construct micromechanical devices and print out documents quickly and clearly. We are now able to “capture” light with the millions of colors that it can express, digitalize it and take it and reproduce it as we please. From the discovery of fire to modern-day LED, the way we produce light affects our social life, work, family bonds and rest. No less important are the “headaches” light has caused for natural philosophy and philosophy of science. In the theory of relativity (in both a restricted and general sense) the speed of light in the vacuum is the maximum speed any information can be sent physically from one place to another. This limitation obliges us to admit our inability to travel towards faraway places, towards galaxies other than ours or stars even only a few hundred light years away from our sun. It also means that we could communicate with other possible intelligent inhabitants of our universe only by radio waves — actually, detecting them without dialoguing, unless we are prepared to wait for thousands of years between one sentence and its reply! The particle-like and wave-like nature of light and energy forces us to increase our understanding of light by finding satisfactory paradigms and explanations for its behavior. We shall also ask ourselves whether the symmetry of Maxwell’s equation requires the existence of magnetic monopoles, which our experience seems to deny. Light alternates with darkness, day with night. The Year of Light invites us to learn to appreciate the feeble light that comes from stars other than our sun, from galaxies beyond ours, from very distant energy sources whose knowledge is essential in order to understand our place in the cosmos. Observing other light sources is an important part of understanding our sun, its future and the destiny of the life that blooms on one of the planets in orbit around it. Today it is still extremely costly to send complex scientific instruments into orbit or into outer space, so observing celestial bodies from earth’s surface is still necessary, and, of course, requires a dark night sky. For this reason UNESCO and IAU have sought in this year 2015 to emphasize the value of “cosmic light” (very important for the astronomical community) in the hope that it will be better appreciated and protected. Our ability to tune into the tiniest sounds and signals, whether from space or from our own personal reflection, from the silence of our intimacy, dignifies our research, both scientific and personal. In the crux of these diverse dimensions of human existence, 2015 seeks to shed light. And that is what we hope to do.